PPF account for a minor can be a great way to plan for their future and build a corpus for when they are adults. However, here are some important things to know about PPF account for a minor. PPF account or Public Provident Fund account is a great tax saving guaranteed returns product that one can invest in. It is flexible, easy to manage and gives compounded tax-free returns year on year. In case you need further information on PPF account, you can refer here. PPF can be a great investment tool for building a corpus for your retirement or meeting your long term financial goals. It is also a great tool for building a good corpus for your kids. Yes, a PPF account in India can be your own child plan which is flexible and secure, that gives you assured tax-free returns. However there are certain PPF account rules in India for opening a PPF account for your Child that you must be aware of. Who can open a PPF account for a Minor? Since a minor (person below 18 years of age in India) cannot carry out transaction in their name by themselves, they would need some Adult/Major (person above 18 years of age) to do that for them. For a PPF account for your Child, the Parent can open the account for the Minor child as a Guardian of the kid. So Father, Mother or any Legal Guardian (in case parents aren’t around or are not capable of executing the accounts) Grandpa, Grandma, Uncle or Aunt or even an Adult Brother or Sister can do on behalf of the child. This is the tricky part. As per the current regulations, there is an Upper Limit of Rs. 1 Lac per financial year for deposits in a PPF account for an INDIVIDUAL. Now here is where most parents feel that since they have a PPF account in their name and a PPF account in their child’s name, they can deposit 1 Lac each (total of 2 Lacs) in these accounts in a Financial Year and have the tax benefit on that. WRONG. As per the regulations an Individual can deposit not more than Rs. 1 Lac in a PPF account. Hence, even if you have an account in your own name as an Adult investor as well as one in the Minor’s name wherein you are the guardian, still you can only deposit a maximum of Rs. 1 Lac COMBINED in these two accounts. For example: If you the Father has a PPF account and he is also the Guardian in his Son’s PPF account, then he can deposit 1 Lac between the two accounts. So he can deposit either 10 thousand in his son’s account and 90,000 in his own, or do it 50-50 or 60-40 or whatever ratio he likes, but the total deposits should not exceed Rs. 1 Lac in both accounts Combined. Why such a limit even for Multiple accounts? As per regulations of PPF account in India, an individual cannot have more than Rs. 1 Lac deposited in a PPF account. Moreover he/she cannot have more than 1 PPF account as well. This second point is made an exception when a Minor is involved in the PPF account. Since the Guardian, who is an adult would be the one making deposits in the PPF account for the Minor; it is thus clubbed with his/her individual deposits towards the Public Provident Fund Account. Hence, even when you have multiple PPF accounts with minor, you as an individual need to spread out your 1 Lac upper limit between these accounts. Example: You and your Wife are parents of 2, assuming names – A and B. Scenario 1: Now you both have your PPF accounts in place and open Minor accounts for your kids A and B. You open it with A and your Wife opens it with B. So now you can deposit Rs. 1 Lac in total to either your account, or A’s account or divide it between the two accounts. Same applies for the Accounts of your Wife and B. This way you have You and Your wife depositing a total of Rs. 2 Lac among these 4 accounts. Scenario 2: Assuming you are the only one having a PPF account and your Wife doesn’t have one. In this case Your Wife can be Guardian for the Accounts of A and B (both separate accounts). Now again, you can deposit your Rs. 1 Lac in your PPF for the year and your Wife can make deposits of Rs. 1 Lac but divided between the two accounts, since again even though the minor accounts are different for A and B, the depositor is your Wife and hence she cannot go past her Rs. 1 Lac limit. So basically an adult opening PPF accounts for minors in India, they cannot go past the Rs. 1 Lac limit to the PPF deposits in any scenario. Even if you have 3 kids and have 3 separate accounts. Let’s face it, India is a country of over a Billion people (gosh, how may zeroes does that have ;) ) and so it is technologically difficult to monitor deposits of individuals over different PPF accounts, especially if those are in different banks or one in a Bank and one in a Post Office. So yes, you may have been depositing Rs. 1 Lac in one account and Rs. 1 Lac for your minor’s account without any trouble, so far. However for Tax Exemption too, only Rs. 1 Lac will be considered. And with technology advancing and everything being centralized and linked to an individual’s PAN Card, it is only a matter of time before these multiple deposits in PPF of over Rs. 1 Lac will be noticed and you would be intimated to stop. Moreover if an individual is found to have more than Rs. 1 Lac deposited in PPF accounts in a year or you have more than one PPF account, the interest on the ‘Extra’ deposits is NOT GIVEN and the Principal amount is only available on maturity. There is also a mandatory requirement to Disclose any other PPF accounts you may hold in any of the Post Offices or Banks, when you fill up the form for a new PPF account, either for yourself or Minor. 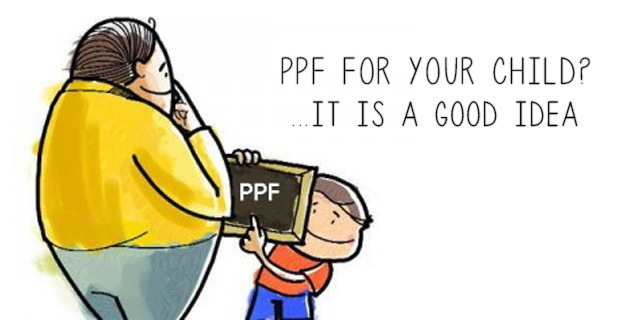 As per law, you are not allowed to have more than one individual PPF account, unless the other is for the minor. What happens to the Minor PPF account on maturity? There are two possibilities to this. One where the PPF matures after the minor is 18 years, and hence he/she becomes the sole Account Holder of the PPF account and can either withdraw the amount or extend the PPF account. Second scenario is when the PPF account matures before the minor reaches the age of 18. In this case the PPF amount can be withdrawn by the Guardian or he/she may choose to extend it in slabs of 5 years each. 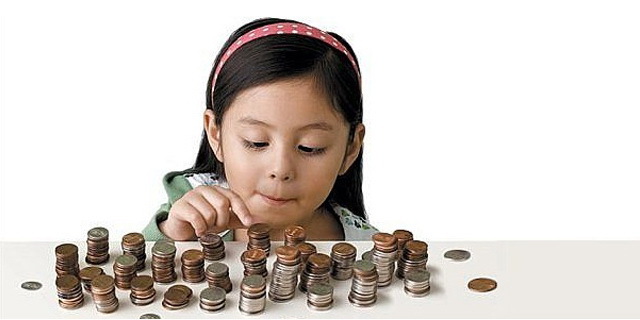 If you are willing to open a PPF account for your child, it is a very good decision. However, you need to bear in mind the Rs. 1 Lac upper limit for any individual as deposit in PPF for one financial year and also for own good, avoid having multiple PPF accounts and deposit more than the available limit, since the process of centralization of financial records through PAN card has started with KYC being made compulsory for all new investments. Dear Sir, I have opened my individual PPF Account in 2010. Now, I wanted to open new PPF Account on name of my child. Pls guide me for the same. Yes only You can contribute to this account, or at least it can be done through your account. Your spouse can transfer money to you and then you can do so, since you are the guardian and not your spouse. But I would not recommend that since by doing so you do not get any tax benefit since technically the money was not your investment but was your spouse’s money, and from income tax point of view that is not entitled to tax benefit for you, however that money if you transfer to PPF, will tax free on maturity and also the interest you earn on that will be tax free but as far as your total income is concerned that amount wont be deductible since its your spouse’s money. So I recommend you yourself only contribute to your son’s minor PPF account. The other question is about the 1.5 Lac limit. If you contribute to your PPF account as well as your son’s Minor PPF account, the total yearly contribution to PPF from one individual cannot exceed 1.5 Lacs, so yes that 1.5 Lac limit is applicable as a whole to both accounts combined that an individual is a part of. For instance you contribute 1 Lac to your PPF account then you can only contribute a further amount of 50 thousand to either your own PPF account or your child’s account. So yes any contribution to the minor’s PPF is counted in the total of 1.5 Lac limit since as a general rule an Individual can hold only one PPF account at a time and only contribute the maximum amount that is currently at 1.5 Lac in a year. So Minor Account is allowed but inclusive of the total limit of the contributor. I want to inform you that o want to open a pod account for my child but she does not have a Pan Card for the children. I assume you mean to say Payable on Death account. I am not sure if in India we have such an account. You have a joint account with different modes that you can refer here https://stepupmoney.com/types-of-joint-accounts-in-india/ for the joint holder to have access to your money. Also if you child is a minor, the operating person and the PAN card details will of you or Natural Guardian so you need not worry about that. Pl refer to the query of Sh SC Biswal on 9 may 2014. I think he can not contribute to the PPF account of his grandson untill and unless he is Legal guardian of his grandson. Than means there is no point in opening a separate account for the child. Well the point is if you are exhausting the annual limit of Rs. 1.5 Lac (revised as per budget 2014) in your own PPF account itself then maybe there is not much difference in terms of returns or taxation if you open a separate PPF for your child. However the idea of opening a PPF for your child is not for TAX purposes but for your Child’s Future. It is an investment for them. We contribute to our own PPF but that account is ours, whereas when your child becomes 18 years of age, he/she is the one who would manage the account and at that point there will already be a corpus in it, because their parents had contributed to it. It is like a separate investment for your kids. SO yes from Tax point of view it may not be that attractive, but if you plan to invest for your child through any other means, doing it via PPF is also a good option, it can be a part of their future portfolio. I am senior citizen.To open the PPF A/c in the name of my grand son. Can I get tax benefits? Yes, Absolutely. As long as you are the one contributing to your grandson’s PPF, you can avail tax benefits.